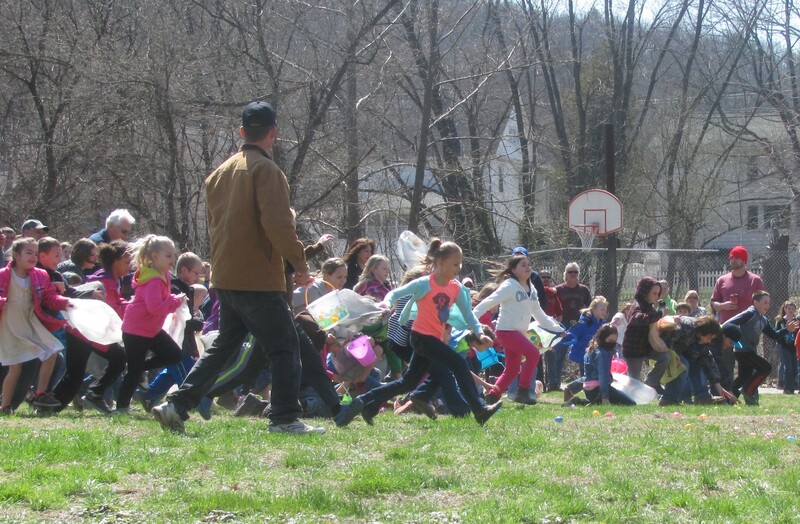 Children in the 9-to-12 age group take off across the ball field along Meshoppen Creek on Saturday morning, each focused on the hundreds of colorful eggs containing candy and prize slips laid out before them. A brilliant morning sun quickly warmed Meshoppen Ballpark for the annual event, which is made possible by the Meshoppen Holiday Fund. 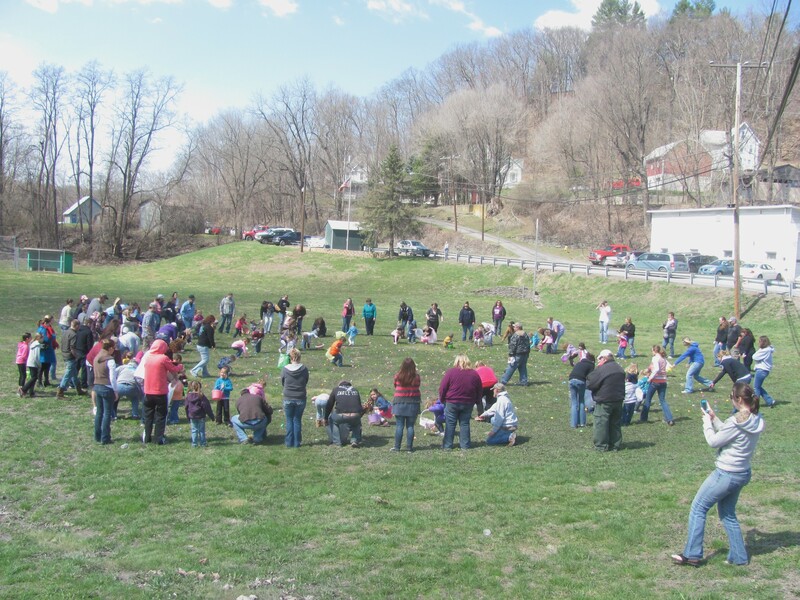 In a small town like Meshoppen, it’s possible that nearly a quarter of its population found its way to the Meshoppen Ballpark on April 19 for the annual Easter Egg Hunt. 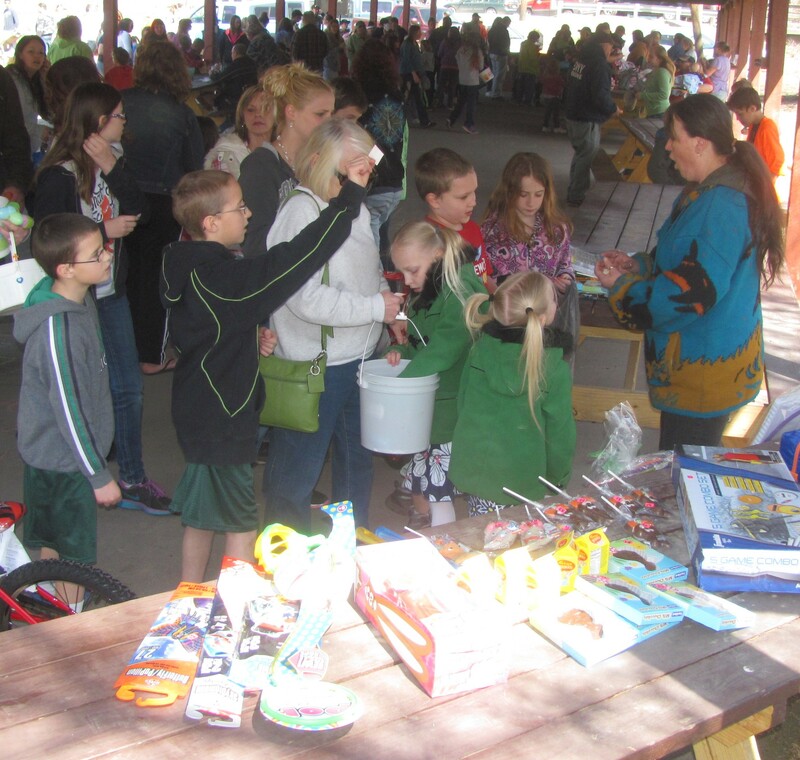 The Easter Bunny was on hand to help MC and event coordinator Holly Stark welcome the eager crowd. The hunts were held in five heats, based on age groups: infant to 2-years-old; 3 to 5; 6 to 8, 9 to 12, and 13 and older, which included a large number of adults. 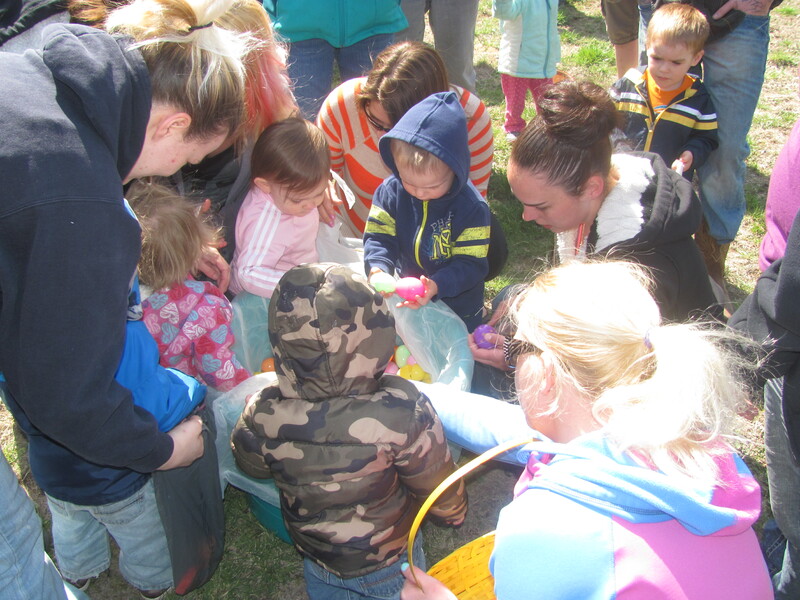 To ensure that the youngest participants each received the same chance of winning some of the bigger prizes, parents brought them in small groups (above) to an “egg pond,” from which they each drew 10 eggs. Remaining eggs were also distributed evenly. 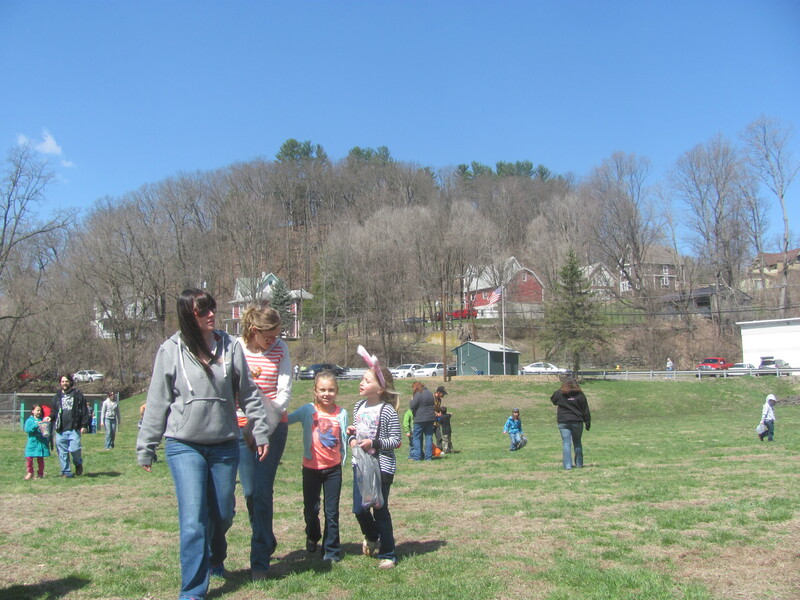 Hunters in all other age groups scooped up plastic eggs filled with candy and some paper slips from the field that lead to prizes that included large sculpted chocolate pieces, tents, and bicycles. 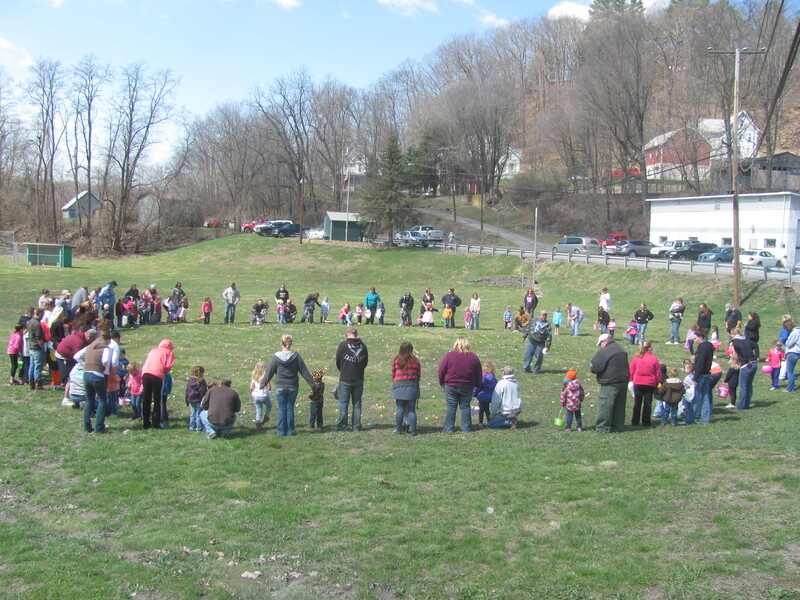 Smiles and laughter abounded throughout the event, as families enjoyed free snacks and beverages and sang along with a soundtrack of children’s songs and Easter tunes. As usual, the 13 and older category garnered a lot of participation and attention. 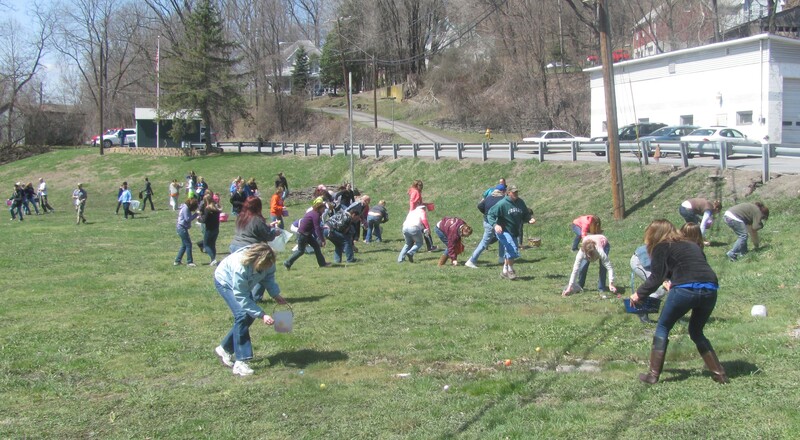 Whereas the children had hunted in relatively small sections of the field, teens and adults (above) had their work cut out for them as their eggs were distributed across the entire field and up the banks to the roadway, where many eggs were surprisingly well-hidden. 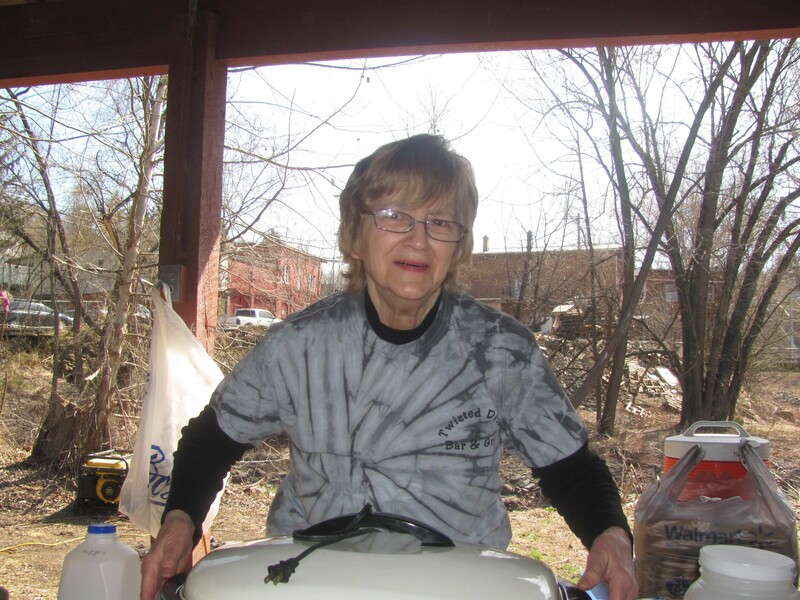 Stark was grateful for the assistance she received to conduct the event, including dolling out hot dogs and hot chocolate, staffing the prize redemption table, and hiding the eggs. Stark also coordinates the borough’s Halloween and Christmas parties and relies largely on the generosity of individuals and business owners. Readers who would like to support Stark’s efforts via the Meshoppen Holiday Fund can contact her at 570-833-4317 or 570-240-0570. Get Ready. Get Set. Go! 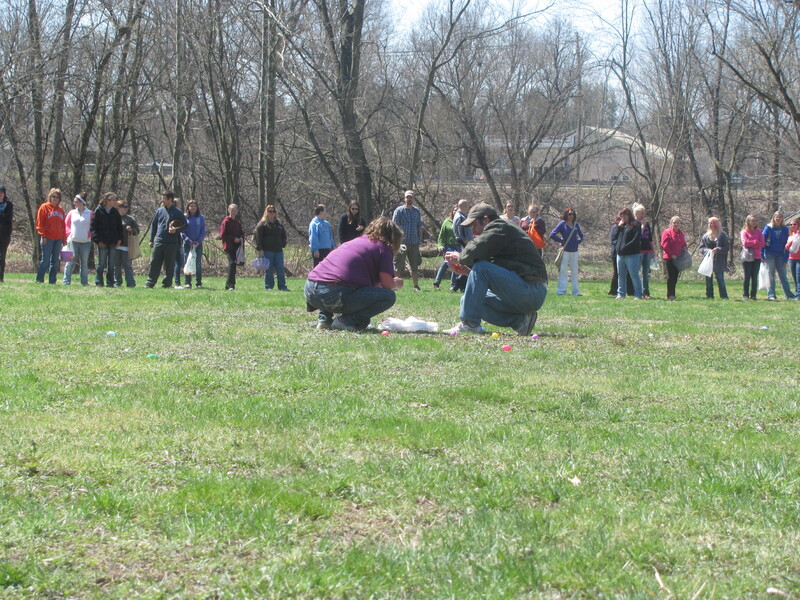 Children in the 3 to 5-year-old age group scramble after eggs in the ball field in Meshoppen. 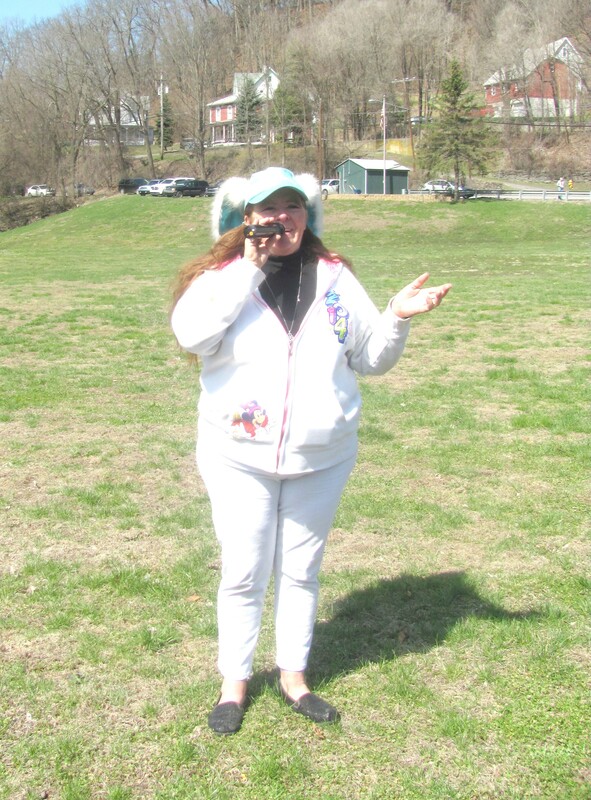 Event organizer Holly Stark (above) also MC’d the egg hunt. 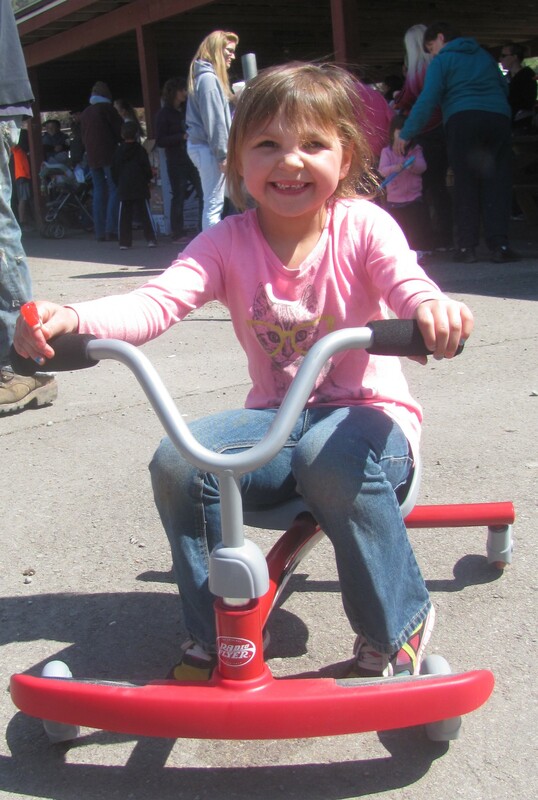 5-year-old Maysie Rought (above) was one of five winners of bicycles at the annual Meshoppen Easter Egg Hunt held on April 19. 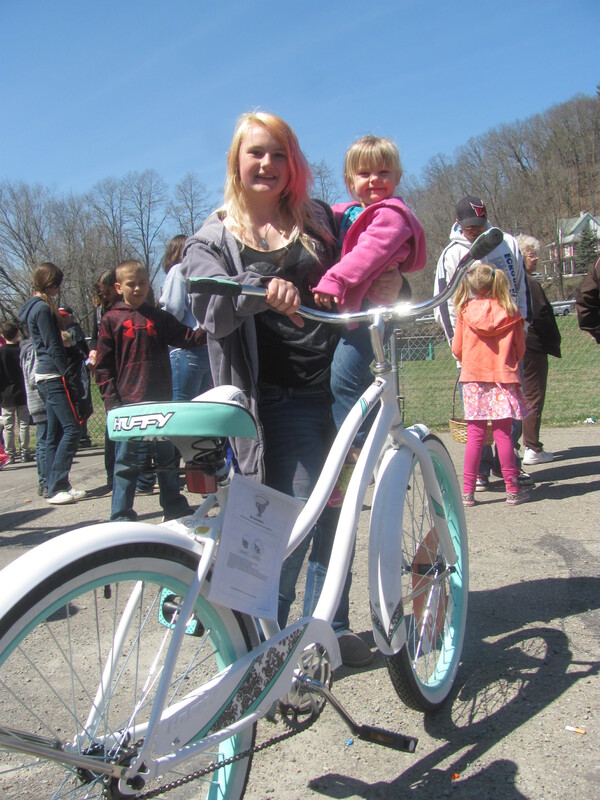 Kara Oslin, holding Treiah Vaow, was the proud winner of a bicycle in the 13-and-older category. Zee and Demi Peacock (above) redeemed their prize slips for candy on Saturday. 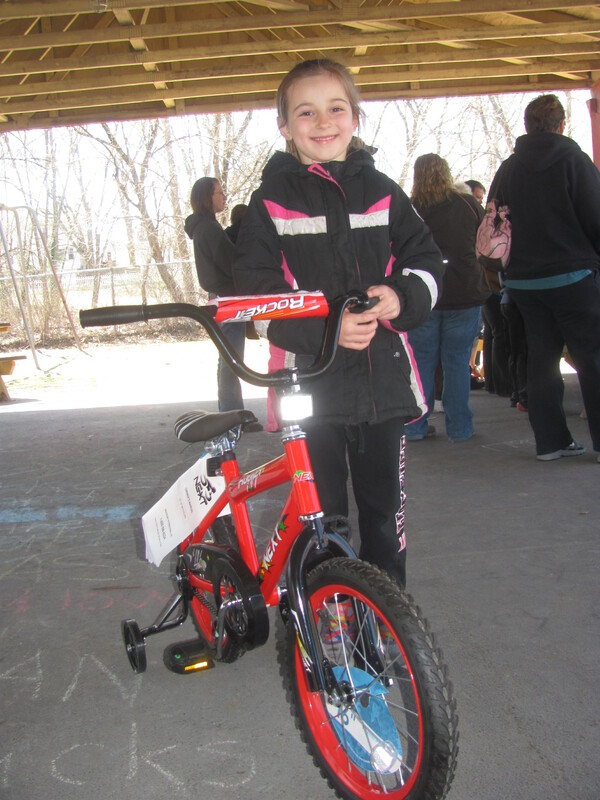 Harley Shrevo (above) was ready to roar off on the new bike that she won in the 6-to-8 year-old age group. 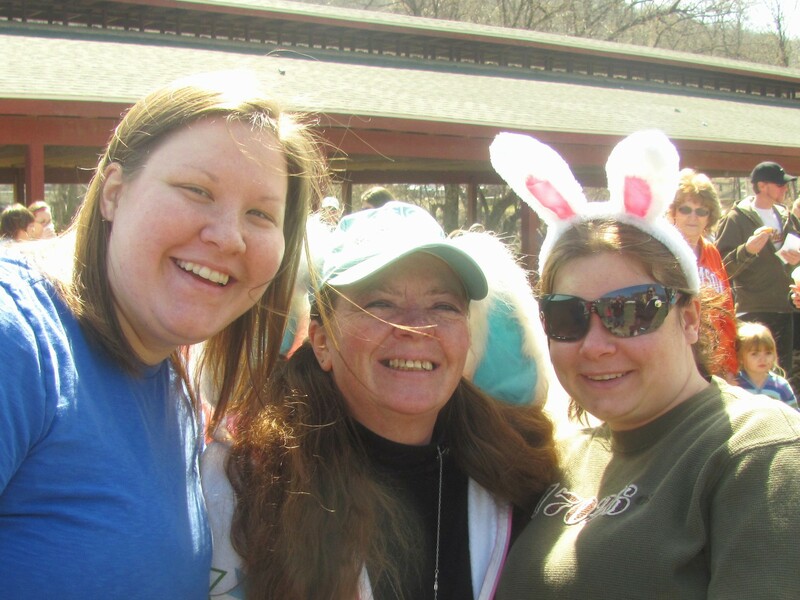 Jennie Graham (above) was one of several key volunteers who kept things rolling behind the scenes at the Meshoppen Easter Egg Hunt. Gladys Gruver (foreground, left) and Mike Houser “hide” the last few eggs for the adults and teens, who wait anxiously in the background. Ruthann Nace distributes prizes to children whose eggs contained paper tabs. 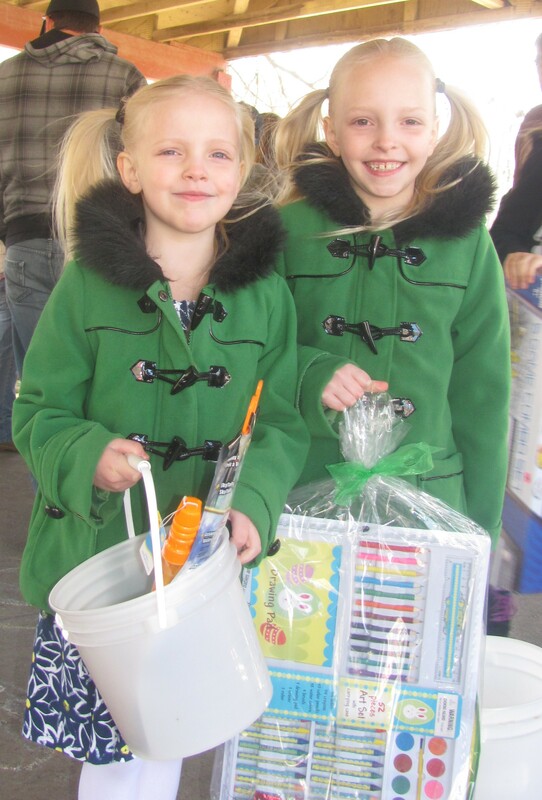 Holly Stark (center) finds plenty of support for the efforts of the Meshoppen Holiday Fund from townsfolk and friends like Ashley Bluhm (left) and Dawn Lupher.